Classic Fruit Punch Available at the Best-Priced Store Here! FINALLY!!! 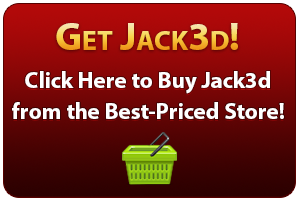 Jack3d Classic Fruit flavor is here, after years of requests from the user community! The story goes like this: When Jack3d first came out, there were two flavors: lemon lime and then tropical fruit punch. However, many users got a little surprise when they tasted hints of coconut and other tropical flavors in the original. People typically expect the “red fruit punch” of every other supplement when they get it. Thankfully, the flavor tastes absolutely incredible (to most of us, at least), and is a great change-up from all those other boring supplements with fake flavoring like red fruit punch and blow-pop style blue razz. But just to be sure, on this site, we’ve always mention that the key word of that flavor is the word TROPICAL, just so that people don’t get a surprise. But if you were one of those people who got surprised and still want that old school fruit punch flavor, we have good news for you! It was only a matter of time. It’s here. And it’s amazing. USPLabs finally “buckled” under the weight of their community, or maybe they ran out of ideas on new flavors to make. Either way, Jack3d classic fruit punch is now here, along with a whole slew of the other flavors that have been out. The many flavors seem to alternate between sweet and sour styles. This one will go on the slightly sweet end of things, but nowhere near as sweet as Tropical fruit punch. This is great news, because those exclusive flavors come with “exclusive prices”, if you catch the drift… not this one. It’s the same great value as every other product! This is pretty easy to explain. It’s what you’d expect, considering that it’s 100% natural flavoring (as always), with no fake/artificial dyes or colors. You don’t need that unnecessary crap painting your insides – many fruit punch flavors contain carcinogenic compounds in the red coloring – not this one though! So don’t worry if this isn’t super bright colored – that’s the way Jack3d works here. Just what you need — none of what you (and your wallet/body) don’t. Why did it take USP so long? Well… because they COULD. Jack3d is a product that’s been on top of the market forever, and that’s because they revolutionized everything – no carbs, no magnesium, no BS coloring/flavors. So while they were at it, they put out some crazy unique flavors too, and went against the grain on the fruit punch stuff as well. But finally, it was time for change. Anyway, here’s the latest status update on all of the flavors Jack3d has! Tropical Fruit Punch – The original that you either love or loathe (or it just provided you a surprise). Again, the key word here is TROPICAL! Watermelon – Another sweet one, only sold at Vitamin Shoppe. White Blue Raspberry – Unfortunately it’s only at GNC. But there’s good news – this stuff is without a doubt the best in our opinions. No fake blue razz crap here, this is real deal. Unfortunately, you’ll pay more. Classic Fruit Punch – Here we are! Lemon Lime – Still the original, still the top seller. If you don’t know what you want, just get this. Raspberry Lemonade – As we mention everywhere else – it’s underrated! Sour Cherry – Exclusive deal at BB.com. Awesome. BB got a great deal here! Jack3d Green Apple – If you’re feeling crazy this winter, put it in warm water. Awesome hot apple cider style flavor!! USPLabs does it again with totaly uniqueness. Sorry to say, though… exclusively sold at GNC. It’s still new, so the reviews are still coming out. Stay tuned – we’ll also add this flavor to the list on our Jack3d Reviews page and you can discuss it and read others’ reviews. As ALWAYS, this is the same #1 selling formula that is in every other flavor. It comes with AAKG, Beta Alanine, Creatine Monohydrate, Caffeine, 1,3 Dimethylamylamine HCl (DMAA), and Schizandrol A.
You’re not going to dislike this one. But if you do, just trade with a buddy or, like my friend says, “Sack it up Sally”. You’ll still kill your workout due to the same incredible mix. The ingredients are the key – not the flavors. And each one has the same ingredients! Of course, it needs to be said – another feature of Jack3d is that it does NOT have a ton of crap in there, like we mentioned above. USPLabs pioneered the maltodextrin-free, magnesium-free, zero-carb, zero-calorie pre workout drink, and that’s why they’re on top. Stay tuned, we hope more is coming! And if you still want something else, Compound 20 is obliterating the field so far in 2012!